Now you can see all of the Display Advertising Data! We’ve made a huge improvement to our display advertising data. In the past, you could only get a few of the top display banner ads, text ads, placements and ad networks. Today, you can now get all of the data! You are no longer limited to just the top results, you can now get all of the data. We’ve partnered up with Adbeat to offer you access to all of this display advertising data, without any limits! If an advertiser has over 200 display banner ads, you can see them all! 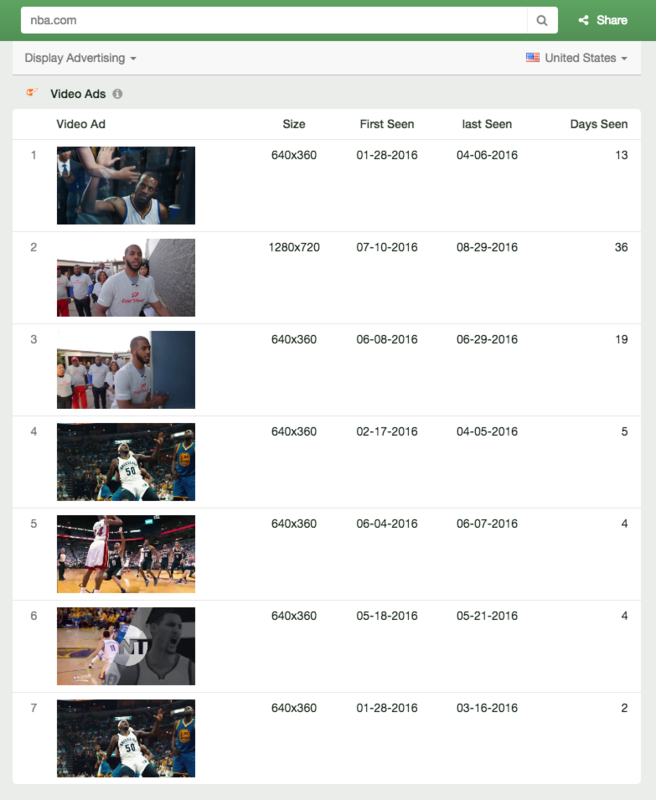 The same goes for text ads, placements, ad networks and we have also added new video ads. If you want to start or improve your display advertising campaigns, you are going to love our new upgrade! Imagine how much quicker you will be able to create or scale your existing campaigns when you have access to all of your competitors display data? Stop wasting money on testing budget. Spend money on what works. Our data will help you understand what works, so you can start making more money on your display advertising campaigns today! Why spend hundreds or thousands of dollars on a testing budget, when you can spend a fraction of that by upgrading to Follow and getting the placements and ads that already work? Use what works. 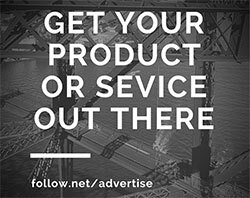 Follow with Adbeat will show you what works. Here’s what you’ll get access to. This is a completely new report for you, one we have never had before, Top Video Ads! 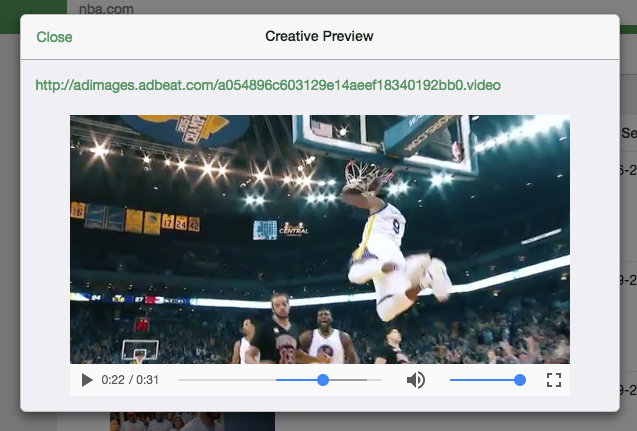 See how your competitors are acquiring customers using video ads. 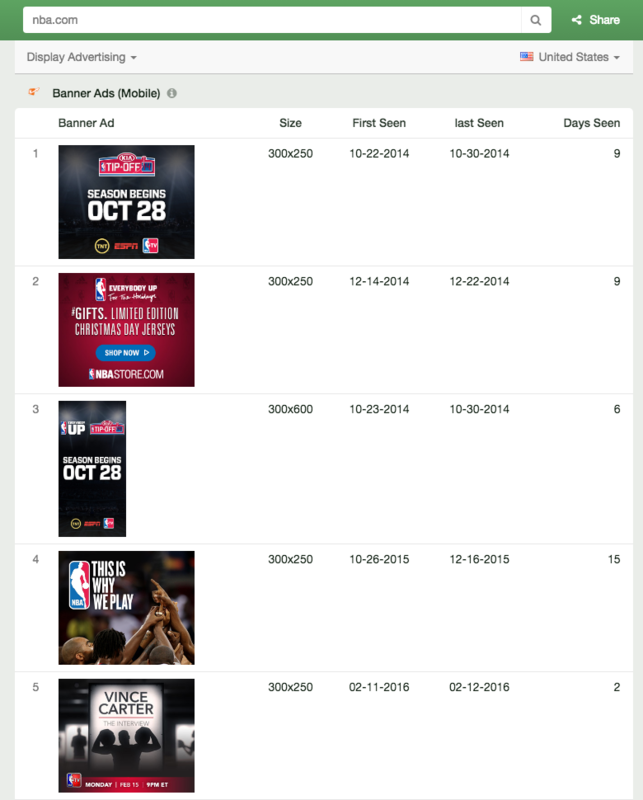 Here’s an example of some of NBA.com’s top video ads. Click on a video ad, and see the whole video! 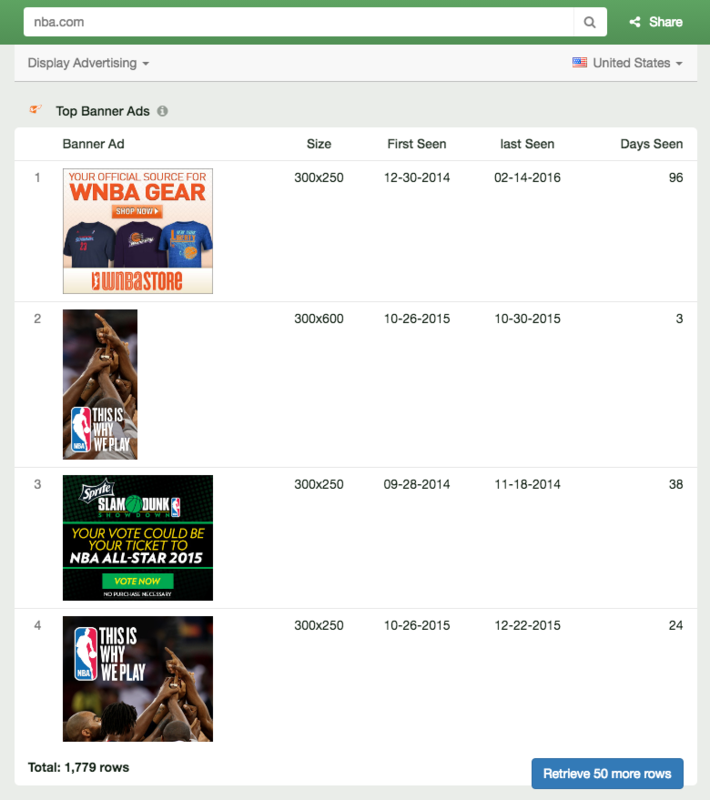 See every banner ad your competitor uses. See in the image below. For every display advertising report by Adbeat, we will show you the total number of rows that are available to be downloaded. In the example below, Nb.com has over 1,799+ banner ads. You can now retrieve them all when you upgrade your Follow account! See the “Retrieve 50 more rows” button? Click that button, and 50 more ads will show. You can load as many as you want to see! Mobile is huge. It’s accounting for more and more traffic every day. Soon, most people won’t be using laptops or desktops. Consumers, who just consume content, enjoy using mobile devices better. See what ads your competitors use when targeting mobile users. These days, it’s not surprising if over 70% of your traffic comes from mobile. If you aren’t optimizing for mobile, you are losing money to someone who is — like your competitor. See what they are doing with this new report. See all of the text creatives your competitors are using. Across Google Content Network and many other ad networks. Probably one of the most important reports. 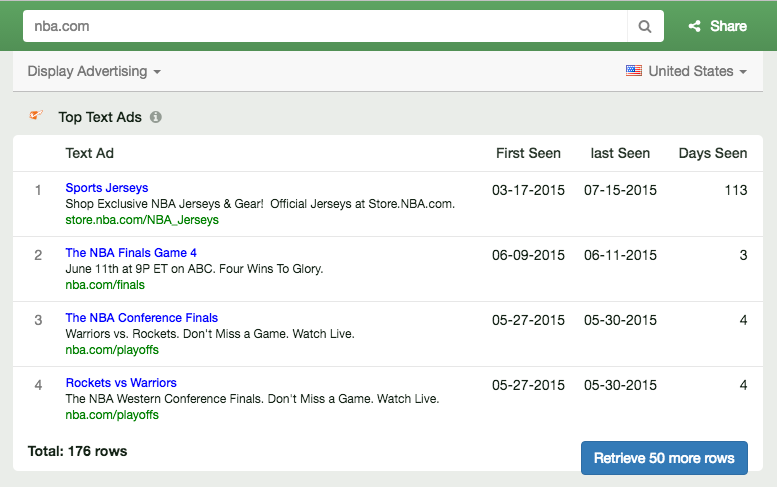 See the exact sites your competitors are advertising on to acquire customers. Why wouldn’t you want to advertise on almost every one of them if they are working well for your competitors? See every display advertising network they are using. So here’s how to get it! 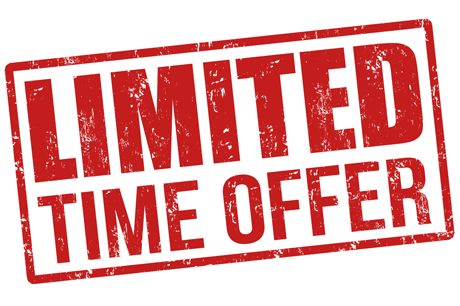 We have a special, limited-time offer for you today. When you upgrade your account to our $97/month plan, you’ll get access to all of this. But for a limited time only, you can save a lot of money. Save $20/month when you use the coupon code “DISPLAY4ME”. Offer expires Sep 15, 2016! For a limited time only, you can get access to all of this for $77/month. This deal will end shortly, so get it soon! Using Follow to get this display advertising data is by-far, the cheapest way to get this data. Compare yourself, our pricing to any other service out there and you will see for yourself, we have the best deal out there if you want this data. So take advantage of this deal while you can. The price will go back to it’s normal cost of $97/month after September 15th, 2016. If you are doing any display advertising, or are considering it, now is the best time sign up and get your discount. Sign up and get this deal by clicking this link, and using the coupon code “DISPLAY4ME” when you sign up. If you have any questions, reply back to this email. Our team is here to answer any questions you have about this service. This entry was posted in Uncategorized on September 3, 2016 by Wes Mahler.